The North East is home to some of the gayest cities in America. With New York, D.C., Philadelphia and Boston, there are plenty of queer people and neighborhoods to explore, have fun and get into trouble. But, many of these gay cities of the North East are the most expensive in the U.S. Here are the most affordable gay cities of the North East. Here are some more affordable gay cities across the U.S.
We’ve listed five gay cities in the North East that are worth adding to your explore list. We used two main factors plus some fun to choose the cities on our list. So, here’s our list of the top five to check out, in no particular order. 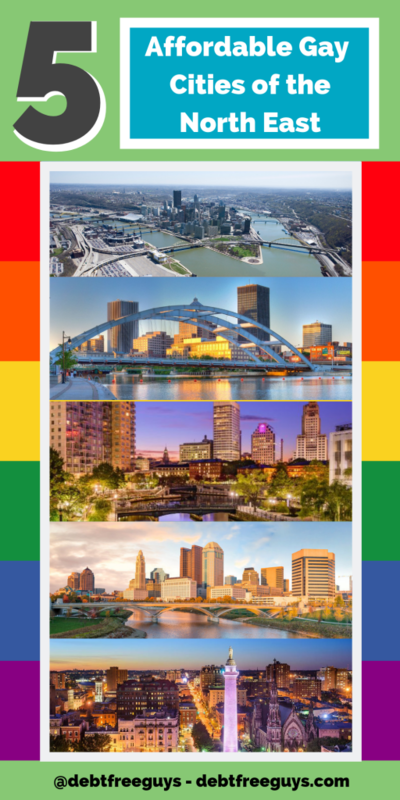 Columbus, Ohio has one of the top 20 most dense LGBTQ populations in the U.S., coming in at a whopping 6.7%. This is the city proper and not the whole metro area, as is the case with most of the cities on this list. With its cute Short North neighborhood booming these days and a decent number of well-patronized gay bars, it’s quite the draw. It’s especially popular with college boys from Ohio State. For cost of living, it comes in on the lower end. Although, there is some recent concern about rents increasing. Overall, compared to New York City, Columbus is about 65% cheaper, with a one bedroom in the city center renting for about $1,100 a month and a 3-course dinner, without alcohol, for two costs about $47. In Columbus, don’t miss Short North for the shops and hip restaurants and include the North Market for a great variety of food vendors. A snack or full-on lunch is a great way to sample the local fare. 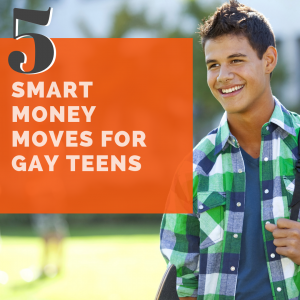 Here are some more affordable gay cities across the U.S.
Pittsburgh, Pennsylvania may not be one of the first cities to come to mind when we think of gay cities, but with a plethora of colleges, it’s home to a large student population. 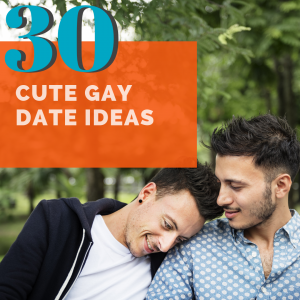 Plus, who doesn’t want to pretend they’re in an episode of Queer as Folk? Pittsburgh’s metro area is estimated to have an LGBTQ density of about 3%, which puts it in the top 50 for metro areas. Where it really scores is with the cost of living. Like Columbus, renting a one-bedroom in the city center costs about $1,100. Overall costs for a single person, not including rent, runs about $950 a month. Find a couple of roomies, and your total costs could land south of two grand a month. This is doable with room to invest in retirement, travel a bit and even splurge occasionally on a salary of about $35,000 a year. Some suggested neighborhoods to check out in Pittsburg include Shadyside, which is home to a number of gay bars, queer owned shops and the most LGBTQ friendly restaurants. Also, take a look at the Strip District tucked in between downtown and the revitalized riverfront area. Finally, check out the hipster mecca of Lawrenceville, which is also queer-friendly. What? Yep, that’s right. Baltimore, Maryland comes in the top 15 queerest cities in the U.S., with a density of nearly 7%! This is another urban area where LGBTQ people tend to congregate. Because of its proximity to Washington, D.C., Baltimore attracts a lot of commuters with high-paying and high-power jobs. These draws could be great if you’re single and looking, especially if you’re looking for a sugar daddy. Because of the high earning commuters and proximity to D.C., housing costs are on the rise. Overall costs for a single person are like Pittsburgh or Columbus, but rent is about $200 a month more. Higher rent means you’ll need to earn an extra $3,500 a year. But hey, Baltimore’s still cheaper than D.C. and New York, which are both no more than three hours away. That’s more money for fun in and out of the city. Although Baltimore often gets a bad rap, just like any other city, it has its good and bad neighborhoods. Some queer people will feel comfortable and safe in and others not. Fells Point near the water is a great area for dining and walking near the water, although it can get busy. Much of the south harbor neighborhoods are great for museums and the arts. Don’t miss the ever-changing American Visionary Art Museum. Many of the queer bars and restaurants can be found in the Mount Vernon and Old Groucher neighborhoods just to the north. As we’re calling out the North East, we can’t pass up Providence, RI. Providence was home to the first openly gay mayor of a U.S. capitol, all the way back in 2002. The city proper boasts an LGBTQ density of nearly 5% and is home to several well-known liberal colleges, including Brown University. Provide is also home to the largest gay bathhouse in the New England area if that’s your thing. When it comes to cost of living, Providence is pushing the boundaries of affordable., But because it’s much cheaper than New York and San Fran, it gets the green light in our book. In addition, Providence was named one of the best cities for lesbians to live. Rent for a one bedroom in the city costs about $1,350, which is pretty steep. The average monthly salary after taxes, however, is about $2,500. That income makes room for a nicer lifestyle and extra savings for travel. Like many other smaller gay cities, it takes a little digging to find spots in Providence. Pride in Providence is smaller, but like many larger cities has a host of surrounding events that make the week and weekend well worth it. While Providence may not be the gayest of cities to have a full on gay life that many younger gays want, it is within a couple hours of Boston and is close to great attractions on the southern coast, which all make the cheaper a great home to get away from. Here’s another shocker. Rochester, NY, is another pretty queer city. 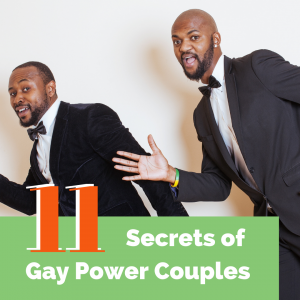 The LGBTQ density comes in at nearly 7%, putting it in the top 15 gayest cities in the U.S. Rochester also has a thriving arts and culture scene, which attracts a liberal crowd. Rochester’s also been rated as one of the best cities to raise a family, which more LGBTQ people are doing. As for the cost of living, Rochester wins big time, which makes it our top most affordable gay city of the North East. Rent for a one bedroom in the city center hovers around $900 a month, well below Columbus and Pittsburgh, and overall costs minus rent for a single person runs about $900 a month. Between housing and overall costs, with an annual salary of about $35,000, you’ll be looking pretty good, with plenty of room for travel during the cold winters and savings for your future. There you have it, five new affordable cities of the North East to add to your prospect list, especially if you can’t afford the gay meccas. Who knows? You may find that one of these North East gay cities has more to offer you than the high gloss of Chicago or Miami. Want to save this 5 Affordable Gay Cities of the North East to read later? Click on the image below and save it to your favorite Pinterest board.